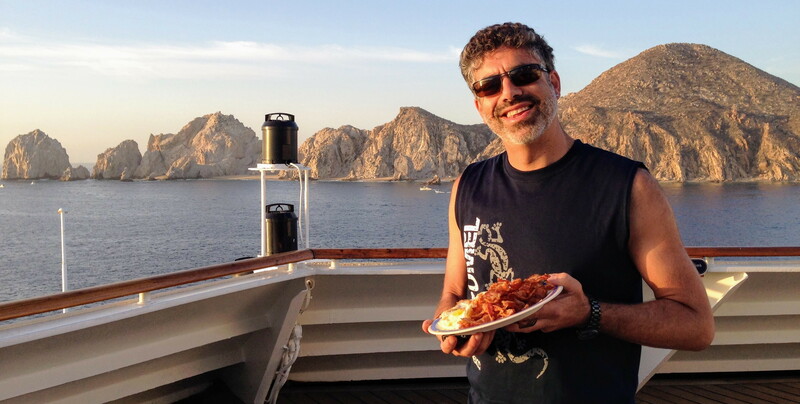 This my how I lost >60 pounds on keto; quickly, without needing to buy any special food prep devices, magic powders, strange foods, or — and this might be the best of all — exercise. I’ll be as brief as possible, with some explanation below, and some inline links to resources I’ve found useful. If something’s important to you you’ll find a way. What must you bring to this? That’s it! Just do it! I’m you. My day is spent in an office. I’m not thrilled by, nor do I have time for, sweaty daily exercise. Food; I love everything about it: cooking, eating, researching exotic recipes. I ate what I wanted without counting calories. One day I woke up, rolled out of bed with a hurting back, made a grunty noise when I sat down, realized I couldn’t see my toes, and was frustrated by how tired I was (and how many naps I craved or took). This weight had to come off! Keto is a low-carb high-fat diet (LCHF) diet that switches your body into a fuel-burning state that consumes your body fat. Most of keto is counter-intuitive, flying against common folk wisdom that passes for what everyone “knows”. Suspension of disbelief for a limited period of time, 30-90 days; the loss phase. Forget everything you have been taught about healthy eating and dieting and just do this. For the duration believe that fat is great, sugar is evil, and carbs are bad. 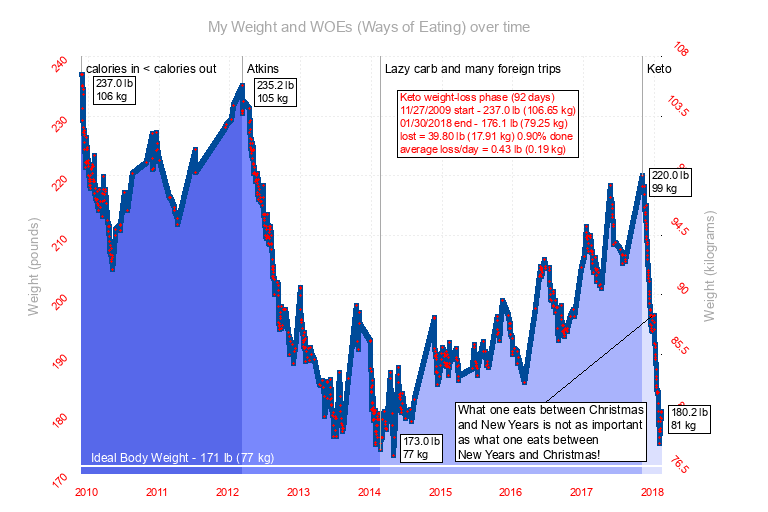 An overwelming desire to lose weight and the commitment to deprive yourself of the joys of complex eating while in the loss phase. Success with any diet requires that you adhere to its rules. I’ll share the hard-core process I used; follow it, and win, or don’t, and fail. Calculate an ideal weight as a target. You don’t need to get fixated on this number, but it’s a dispassionate, scientifically-calculated outside view. Calculate appropriate calorie and macronutrient levels for who you are today. A way of logging your daily food intake, to maintain awareness of your running calorie and macronutrient count. Both LoseIt!, MyFitnessPal, and Chronometer have both web and smartphone apps. A digital body-weight scale. Weigh and log yourself each and every day at the same time, every morning. A digital food scale. You’ll need to accurately log the weight of foods. Humans are terrible at estimating. A doctor’s visit to ensure that you’re healthy enough. You needn’t state that you’re planning on doing keto, especially as many physicians last learned (inaccurate information) about nutrition in med school. Just be healthy enough. Contraindications for keto: type 1 diabetics (who have issues with insulin and blood sugars) and those who have two copies of the Apolipoprotein E4 gene variant, ApoE4/E4, who often don’t respond well to saturated fats. Get into the mindset. Nothing must be more important than getting into shape. 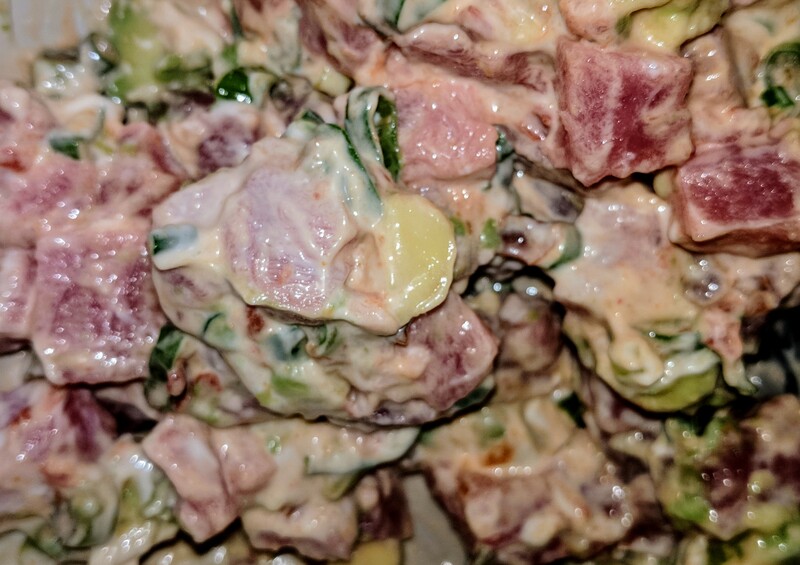 Much as I wanted tantalizing keto-friendly foods, cheat days for non-keto foods, I vowed to eat only simple keto meals to make it easy to stick with this new way of eating. For right now no fruit, no vegetables, no snacks, nothing sweet, no dairy, no substitute items (soy milk), no low-fat foods. I’m sure I’ve forgotten a few things; feel free to tweak this list to your liking. keto flu — During the transition from using carbs as fuel to using your body fat you may experience an intense period of flu-like symptoms: aches, low energy. keto rage — You may also be ill-tempered, have a short fuse, or experience the hangry without the hungry. light salt — Most groceries contain salt substitutes that are either half or completely potassium chloride (with perhaps a trace of magnesium carbonate). Check the label to ensure no sugar, no carbs. magnesium supplement — Any store with supplements may have magnesium. Check ingredients for unwanted sugars (sugar, dextrose, etc). Magnesium citrate is the most bioavailable; the oxide form seems inert. for 290 mg sodium, 350 mg potassium, and 75 mg magnesium per bottle. Log today’s weight. The journey starts today. With whatever diet / way of eating you choose, the key idea is that you must eat fewer calories than you consume. This is called deficit. Walking and sports can add to this deficit, but if you’re taking in more than you burn you will gain weight. Most humans are terrible at estimating quantities. Counter this by weighing and logging each ingredient (or prepared food) before it enters your mouth. Gauge your hunger. When you feel “hungry” take a moment to see whether it’s a need for fuel or a need for comfort. Drink something; much of what we feel as hunger is actually thirst. Give yourself five minutes to sit with the hungry. Know you’ll have moments of hungry; it’s all good, you’ll survive. Use sticky notes to remind yourself. Note: At some point it’s worth experimenting with hard cheeses and broccoli, cauliflower, and spinach. I haven’t yet because this is my hard-core weight-loss phase, but I’ll be adding them in as I transition to maintenance mode. Note: Ensure you’re hydrated, as you’ll be flushing out water on keto. Enjoy everything low- or no-carb; water with a touch of lemon juice, tea, coffee. No alcohol during the loss phase. These are some of the things I ate during my keto loss phase. When I get pictures of others I’ll update this page. The simpliest. 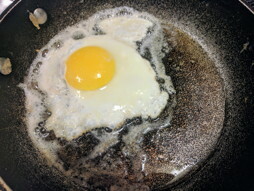 If I pair it with salami or bacon I cook the meat first and the egg in the fat in the pan. 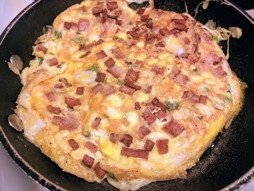 A 3-egg omelette with 2 oz SPAM and a touch of scallion. 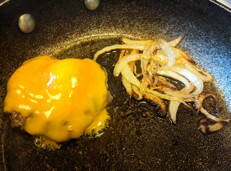 3 oz 80% ground beef, 0.5 oz sharp cheddar, the tinest amount of onions. Some days I have several of these over my eating window. 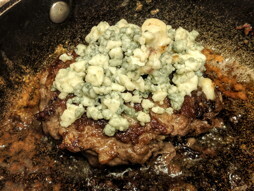 Same as above, but with crumbled blue cheese. 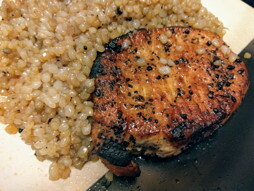 pork chop & “rice”6 oz pork chop, shiritaki (Miracle Noodle) “rice” with Montreal steak spice. Shiritaki (Miracle Noodle) “rice” with a bit of Trader Joe’s soy chorizo. 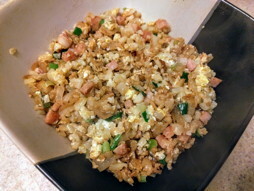 2 oz SPAM, Shiritaki (Miracle Noodle) “rice”, a touch of scallions & soy sauce. 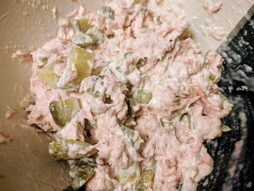 One can of tuna, 2 tbsp mayo, 1 pickle cubed. A notable restaurant meal. I confirmed only butter and salt, nothing else! Does this limited menu get boring? Of course! Each time I reach into the fridge I remind myself that it’s for a limited time and that I’m doing this for a goal that I really, really want. Note: worries about excess proteins being converted into glucose seem unfounded. Boredom is another reason people give up diets. 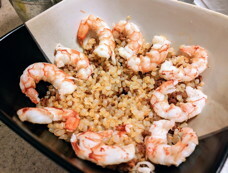 Eating only protein and fat, stuff with a lot of umami, flavor would make me hate food and life. It’s literally no issue to work broccoli, spinach, and zucchini into the diet and stay under the carb amount. [for breakfasts] I’ll do deli slices in bacon grease, sausages, breakfast sausage, and just cheese sticks; never fancy unless I do eggs. For eggs: whisk in coconut milk, heavy cream, or whole milk. Working on cream cheese and egg pancakes: 1oz cream cheese per large egg, blend and pour into greased or buttered pan, powder with Stevia. 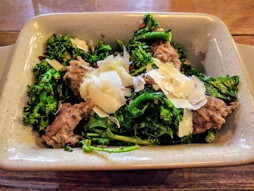 Another note about vegetables: I’ve been asked why vegetables don’t feature more prominently (or at all) in my weight-loss keto implementation. To rid newcomers of the “I couldn’t ever give up that food” mentality; it holds people back from jumping into keto completely. Fruits, vegetables, and salads are not an essential part of you taking control over your ever-heavier body; you can see it on your scale. To inculcate the mind-numbing truth that it’s possible to fuel your body during the weight-loss phase without fruits, veggies, or salads, and without hunger pangs, carb cravings, or ruinous bodily breakdown. The need for fruits and vegetables isn’t as clear-cut as our mothers would have us believe. While I’ve drawn no conclusions yet, my reading uncovers that meat is much more nutritionally dense than veggies, provide all needed nutrients (or precursors), and is more bioavailable than vegetables (to which some people have reactions). We were taught that lemons cured scurvy, but never that meat also does. Zero-carbers have been without veggies for an extended period of time without seeming issues. There are questions about the need for fiber. All of this requires more research and reading. Most of us food as comfort. The saw-tooth pattern you see in my graph, above, shows the effects of complacency (perhaps denial) and stress that comes with job loss, divorce, selling a house, and a handful of foreign trips (which had very notable, almost famous, high-carb foods that I just had to have). Also easy to see are the key decision points during that stressful time; I got frustrated with my weight, got back on low-carb, got distracted, and the result was yo-yo dieting. According to Dr Will Cole, speaking in KetoTalk #45, “sleep stage 3 and 4” is essential to ketone levels and weight loss. Do what you need to get good chunks of good sleep. The term stall (or plateau) refers to successful weight loss that stops, despite continued keto. There are a good number of lay theories about this, as well as suggested ways to “break a stall”. special food — “egg fast”, etc. 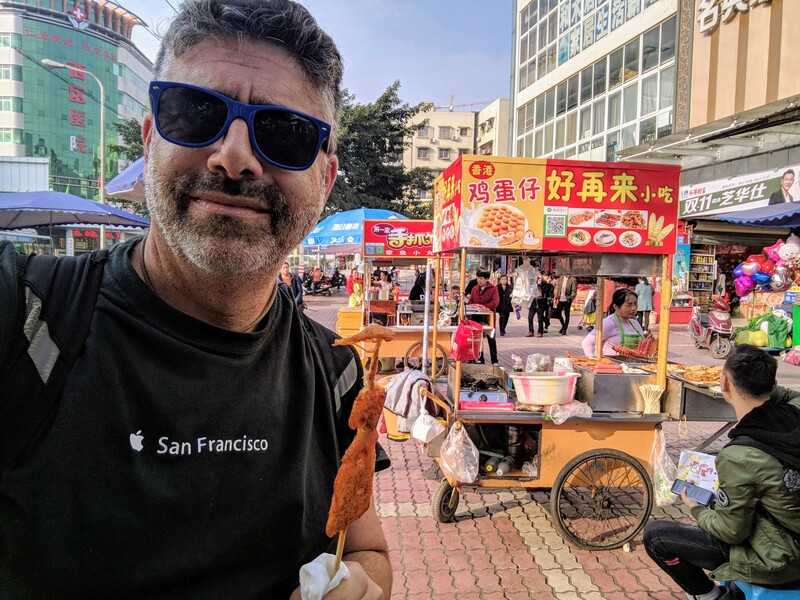 Until recently I didn’t have experience with stalls. Now, at about 12 lbs (5.5 kg) above the calculated ideal weight, my daily weight-loss has gone from about 0.46 lb (0.21 kg) to zero. Now I understand the panicked frustration I’ve heard others use in discussing stalls. Coincidentally I heard Dr Will Cole, speaking in KetoTalk #45, say eating too few calories causes fat cells to not release fat. I’ve been eating significantly under my daily calorie limit (because I’m just not hungry) and for the last few days have done a lot more walking; I may have tipped the hormonal balance out of my favor. So my first attempt at breaking this stall is to continue on my keto, being mindful to hit my calculated daily calorie intake. bacon – Through publicity, bacon is the gateway drug to keto. Most of us don’t have it for breakfast, lunch, dinner, and snack. If it fits your macros, and you desire it, consume. If it doesn’t, don’t. ketone test strips – To measure urine ketone level; available at pharmacies. Completely unnecessary; save your money for good meats. If you’re eating less than 20 g carbs/day you’re in ketosis. Source: The Art and Science of Low Carbohydrate Living (Phinney & Volek). diabetic ketoacidosis vs. nutritional ketosis – Persons with inadequate or outdated knowledge often confuse diabetic ketoacidosis (DKA), a life-threatening condition, with nutritional ketosis, a healthy, normal state. DKA typically occurs when diabetics, (who don’t produce insulin) are – because of illness, diet, or not taking an adequate insulin – unable to process ketones and wind up with an acidic bloodstream, which interferes with the liver and kidneys. Nutritional ketosis occurs when one eats very few carbs and processes body fat into ketones. Healthy people cannot get DKA because they are able to produce insulin. The following is a very imperfect and incomplete list of some of the resources I find helpful. 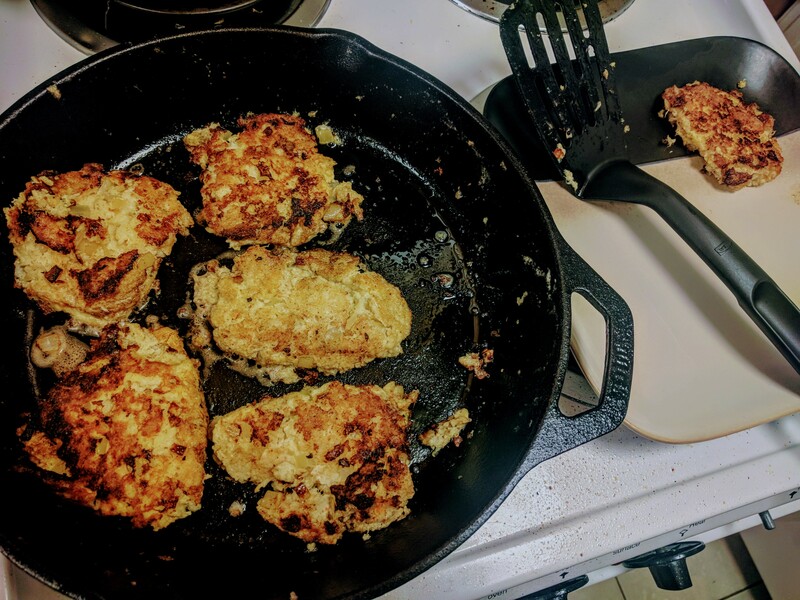 While you’re keto’ing use reliable online communities to get more information about keto, keto-friendly recipes, and support for the struggle. Some of the most accessible discussions of LFCH and keto. In general, focus on the physicians and try to ignore the nutritionists (who struggle with up-to-date clinical findings). 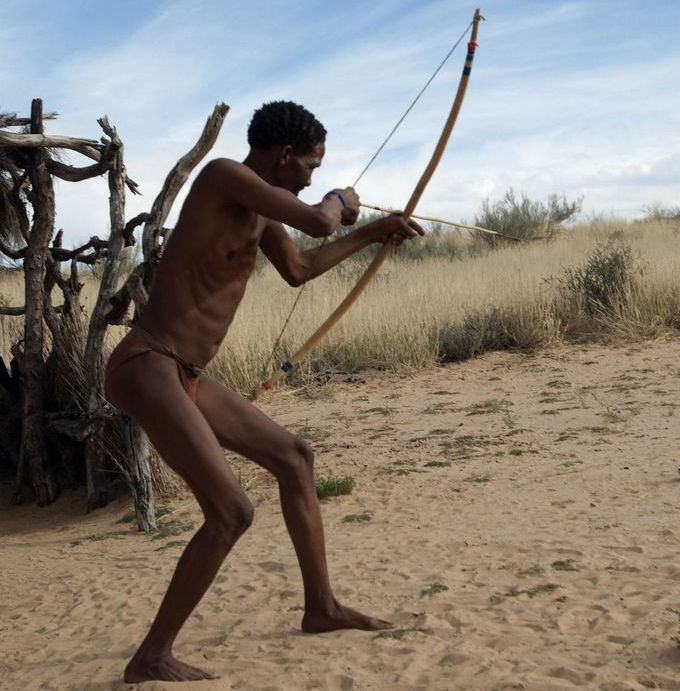 The Perfect Human Diet, 2012 – An search for a solution to the obesity epidemic, exploring modern dietary science, historical findings, ancestral native diets, and the emerging field of human dietary evolution. Run On Fat – Cereal Killers 2 (2015) [trailer & links] – World-class triathlete Sami Inkinen transitions from pre-diabetic sugar burner to being fat-fueled; with Dr Stephen Phinney and Dr Tim Noakes. Is Ketosis Dangerous (Science of Fasting & Low Carb Keto) – Made for the layman, beautifully cited, clearly explained. Ketogenic Diet Explained in Under 5 Minutes – whiteboard markers explain keto. Ketosis Explained in 5 Minutes ► Ketogenic Diets 101 – An entertaining, animated chalk-talk about keto basics by Slim. Low Carb Diet – Fat or Fiction? – Dr Maryanne Demasi. 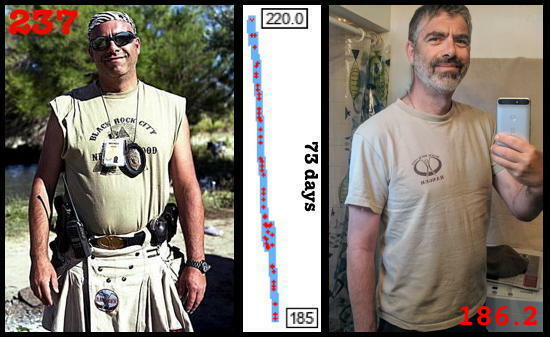 Butter Makes Your Pants Fall Off – ‘Butter’ Bob Briggs presents a personal, lay persons recounting of how he lost 145 lbs. Inspired the Butter Makes Your Pants Fall Off song. Come for the accent, stay for the knowledge. The Diet Doctor [pay site with worthwhile free content] – Includes videos of such keto luminaries as Dr. Dominic D’Agostino. Journal of the American Medical Association, Interest in the Ketogenic Diet Grows for Weight Loss and Type 2 Diabetes, Jennifer Abbasi, 2018. Experimental & Clinical Cardiology, Long-term effects of a ketogenic diet in obese patients, 2004.
International Journal of Environmental Research and Public Health, Ketogenic Diet for Obesity: Friend or Foe?, Antonio Paoli MD, 2014. Derek Beres, How the Keto Diet—Even Without Exercise—Slays the Opposition, 2017. Peter Attia MD, Ketosis – advantaged or misunderstood state? (Part I) , 2012. Peter Attia MD, Ketosis – advantaged or misunderstood state? (Part II), 2013. Peter Attia MD, How to make a fat cell less not thin: the lessons of fat flux, 2013. SCI-FIT, A Collection of 200+ Keto and Carbohydrate Studies, Adam Tzur, 2017. The Art and Science of Low Carbohydrate Living (Stephen Phinney, MD PhD & Jeff Volek, Phd RD), 2011. Why We Get Fat: And What to Do About It, Gary Taubes, 2011. That’s all you need to know to get started. I urge you to stay simple and be strict. Success to you!